This is the last and final look from my Christmas and NYE lookbook which I featured on my Youtube channel. This outfit is made up of a top and matching skirt but when worn together like I have in the pictures above, they create the illusion of it being a dress. I love that they are separate bit because that will allow me to mix and match with different pieces to create endless amounts of looks. 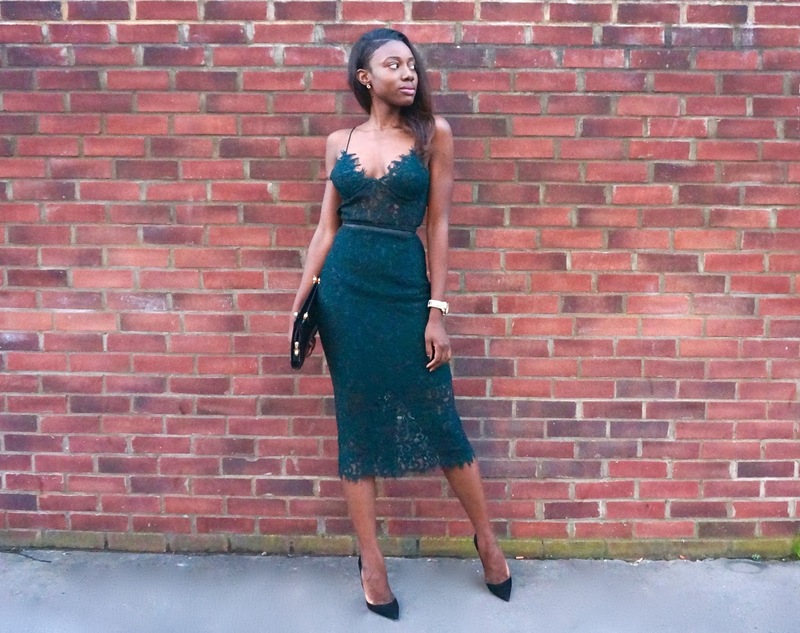 I love the lace trend that's ongoing at the moment and not to forget the lace bralet as well. I don't know why but for some I seem to prefer ZARA's execution of the lace bra let and it is the only one I tend to buy. This bottle green lace top is my third lace top purchase from ZARA over the years and one I am happily going to add to my collection. I wish they would just create more of the lace top in number of shades because Lord knows that I would buy them all!